This book follows three different perspectives: Alex, Clinton, and Daria. Alex is a new student in a small town school where everyone knows he is HIV positive. At the beginning of the story he is attacked in his car by a baseball bat. The attacker breaks the windshield so that he is cut by the glass. Daria, a student with Down Syndrome, is the only witness and believes the assailant to be Clinton Cole. Clinton has made it known that he is afraid of catching AIDS and wants Alex to leave the school, but swears he did not do this crime. Did Clinton do this and if he did not will he be punished anyway? The three perspectives in this book help the reader to understand where each character is coming from. As the three perspectives follow the events after the attack it becomes clear that Alex and Clinton both have many issues they are dealing with at home and at school. Some of the issues they deal with at school are fear, guilt, and a desire to fit in and be “normal.” At home they find that they want to please their parents without allowing them too much control over their lives. This book emphasizes how difficult it is to be a teenager and be different in any way. Teenagers are always wondering what if their friends are real friends and would stand by them during difficult times and these three people are disappointed by what they find. This would be a great story for any high school student to read because it helps them think about situations from other people’s perspectives. It also helps them realize that everyone feels self conscious about something and that people are more aware of what people say about them than those who say mean things realize. Also recommended are Alex Flinn’s Books Breathing Underwater and Diva. 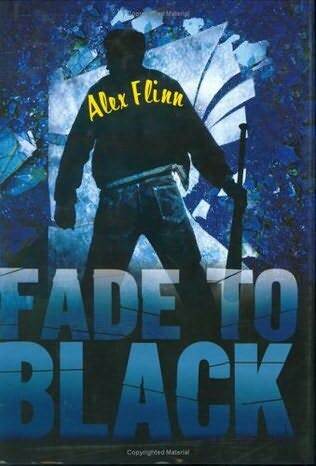 Fade to the Black was terrific! I felt myself almost wanting to finish the whole book in one day. All i thought in my head was if Clinton didn’t do it who did? I mean i thought it was Clinton..I’m only 13 and I enjoyed this book to the point that I was shoving it in my friends’ face ordering them to read it. This book had everything suspense, drama, and real pain a person must feel in day to day life. This book is one to read and believe me and you’ll Fade to the Black..